As part of Searchability’s 2018 Grad campaign we are offering all clients access to a FREE digital careers hub to promote your employer brand and live vacancies for graduates. The digital careers hub will be built and hosted on our sister company jobholler.com, who are employer branding specialists and winners of the 2018 Onrec award for “Creative Online Marketing” within the recruitment market. Each hub will be branded with your company’s distinctive assets, feature live social media integration, optional blog showcase and Instagram walls so that graduates can get a real glimpse into your company culture as well as browsing your latest opportunities. 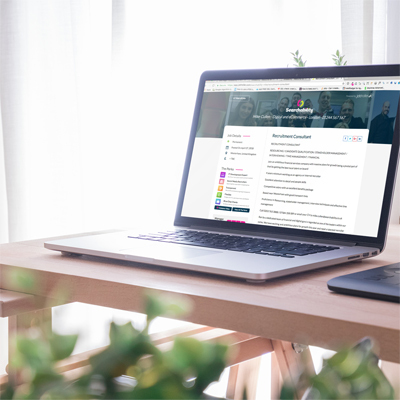 The digital careers hub will allow your company to increase brand awareness at no extra cost in tandem with the Searchability recruitment solution, and possibly even secure a free* direct hire! To find out more please get in touch on 01244 567 567 / [email protected] and quote “grad18” to claim your FREE JobHoller graduate careers portal! *If a candidate applies for a job role directly that has not been introduced previously by Searchability then you are able to hire that individual directly at no additional fee.